WOW Toys have often been a big hit in our house. 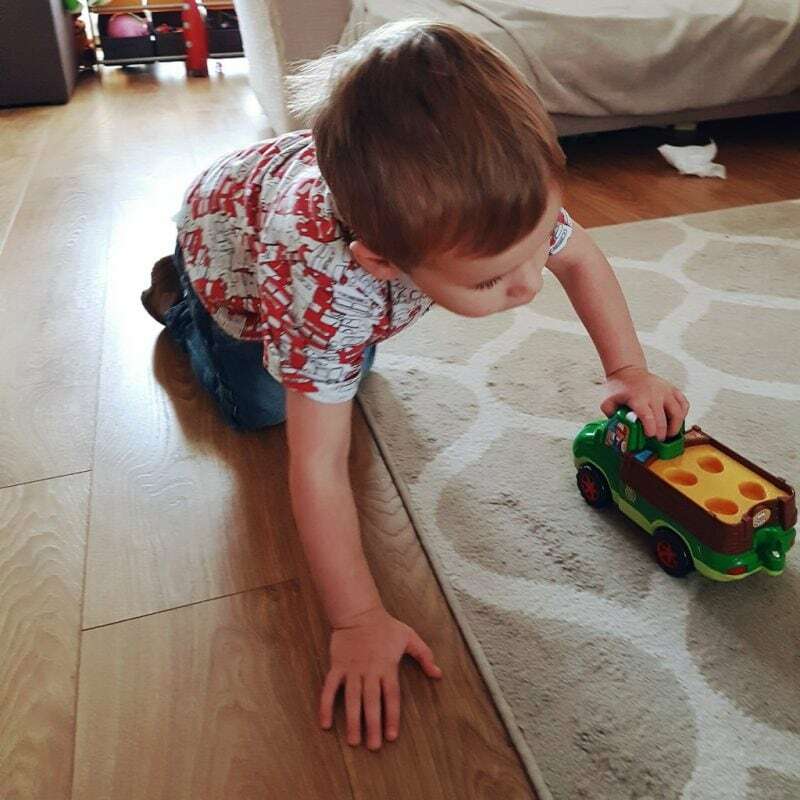 Biggest has always been exceedingly fond of anything with wheels and the first few toys that he loved to line up were a mixture of WOW emergency vehicles and other cars and trucks. In addition, Littlest is now getting a little older and currently loves any kind of toys which involve role-play. Therefore we were delighted when WOW toys offered to send us some of their new autumn and winter 2016 range of toys to try. 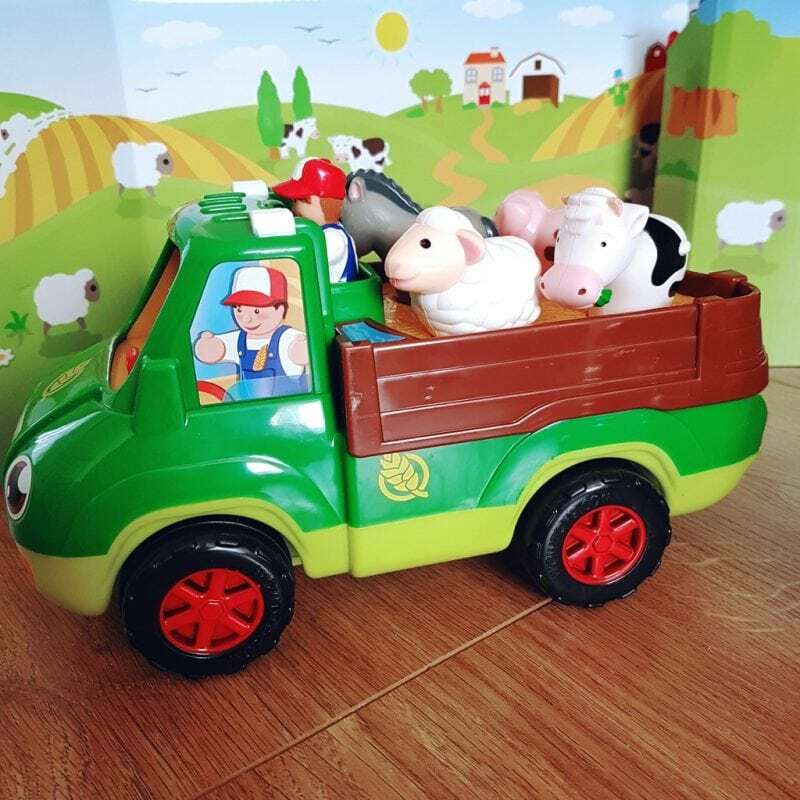 We were sent the ‘Jessie Farm Jeep’ and the ‘Freddie Farm Truck’. One lucky reader can win both The Freddie Farm Truck and the Jessie Farm Jeep. See the Rafflecopter competition entry at the end of the most for more information. As you can see in the pictures, both toys were a huge hit with Littlest. 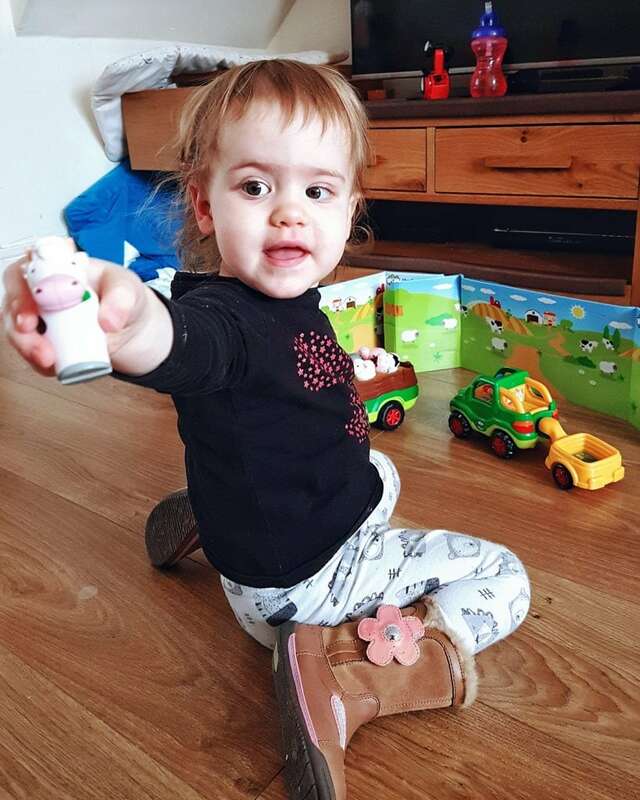 She adores animals and one of her favourite things to do at the moment is to go through the book ‘Flip Flap Farm’ by Axel Scheffler and point at the animals, telling us which noises they make. She was just as delighted by the farm animals supplied with both toys. For twenty minutes or so, she was very focused on picking up each animal, saying the noise they made and carefully placing them back in the trucks. She also enjoyed finding each animal in turn as I asked her where each one was. Biggest, it must be said, was slightly less interested in the toys. He spent some time making the motorised trucks move backwards and forwards, but was less interested in the role-play element. This may be because of his autism, but I also feel that, at four years old, he is perhaps at the upper limit of the age bracket of children who will find these toys the most appealing. Overall, WOW toys make an excellent gift for children aged from about eighteen months, to three or four years. One of the great benefits of WOW toys is that none of them need batteries and they inspire your child to be imaginative and role-play as they come in various themed sets. 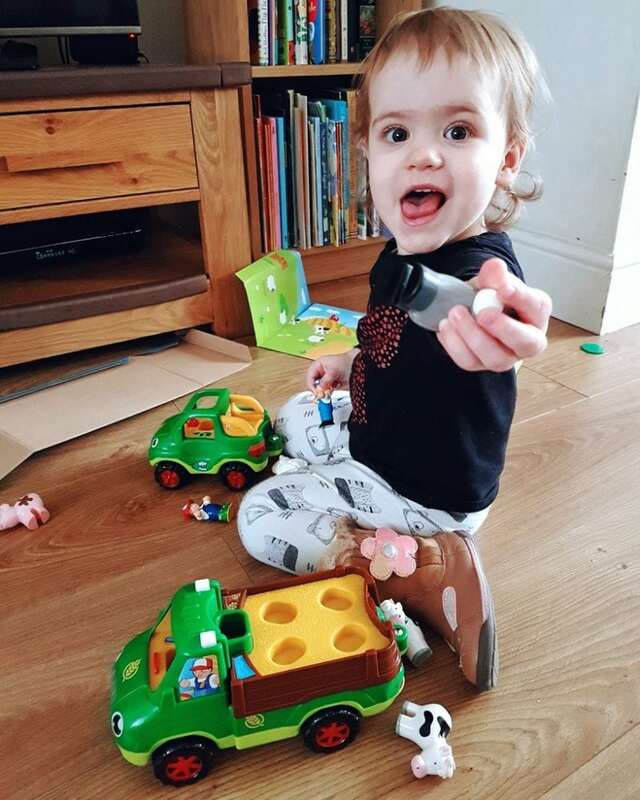 The toys are extremely durable and robust and I can see that Littlest will certainly be enjoying them for many months to come. 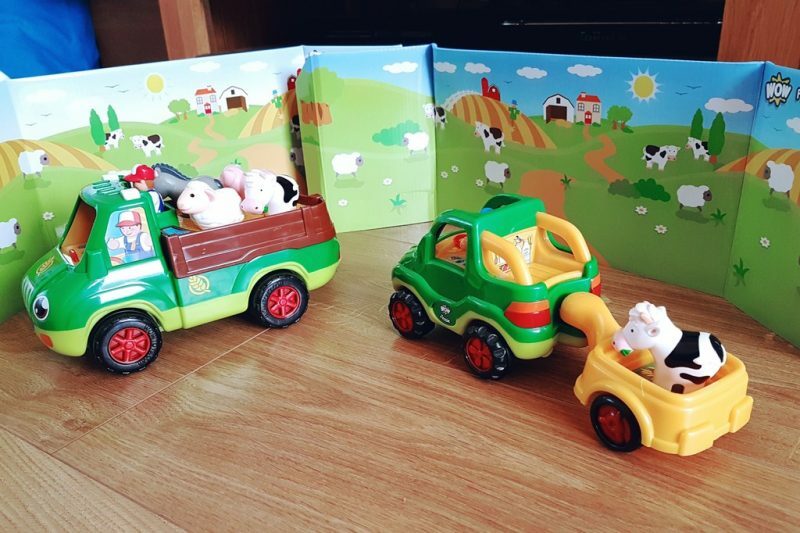 Finally, one lucky ready can win both the Freddie Farm Truck and the Jessie Farm Jeep for their little one. Please note, the competition closes at 12 am on the 1st of November. For full terms and conditions, please read see the Rafflecopter Terms and Conditions section. Good luck! Wow Toys are fabulous- ever since we were given some when my children were tiny I have been extolling their virtue and giving them as presents. I still find my seven year old incorporating them into his play!